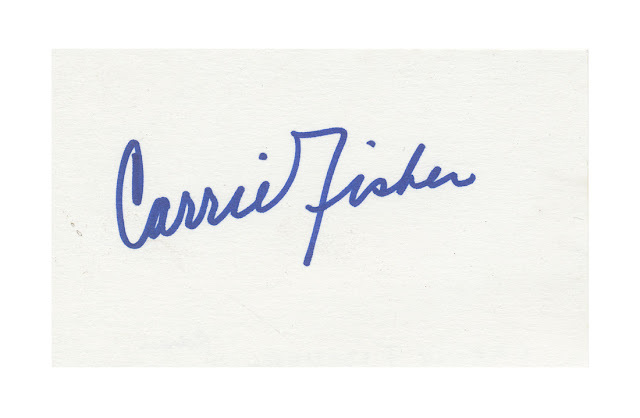 Index card with what appears to be the signature of Carrie Fisher. On the reverse side, someone has written "Actress" in black ink. I have no idea if it's authentic, but it looks a lot like other signatures out there. That, and it was found in "The Empire Strikes Back" by Donald Glut. 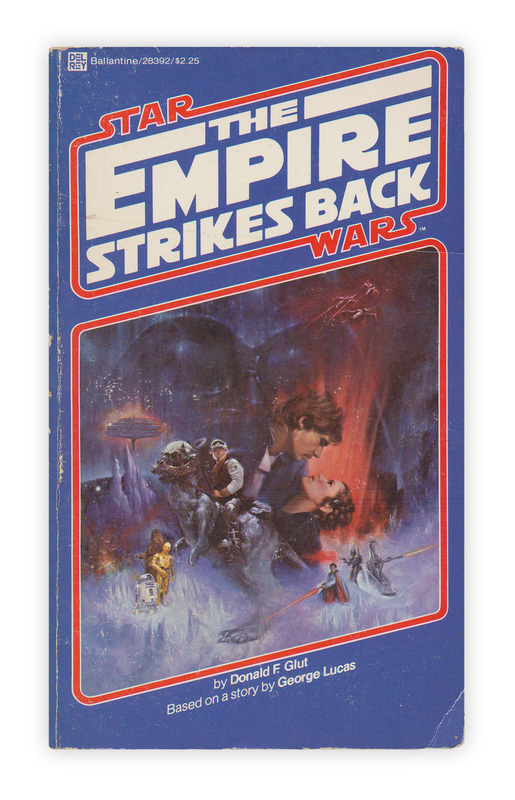 Published by Ballantine, 1980. The book just went up in price :-) What a great thing to find! It does look close. DO keep it with the book and get it appraised!